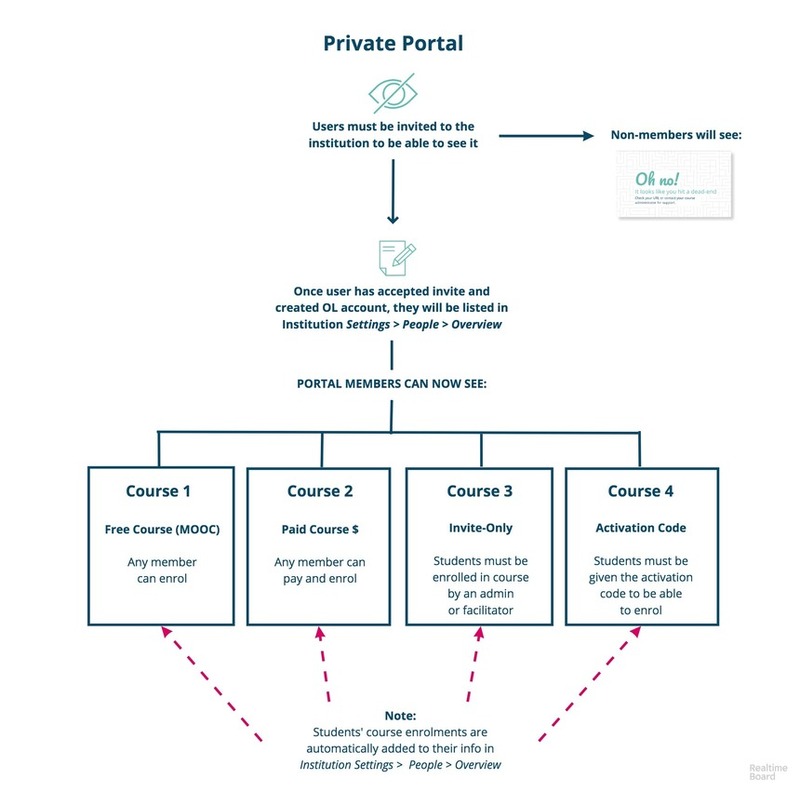 When a portal is set to private, only users who have been enrolled in the portal will be able to access it. 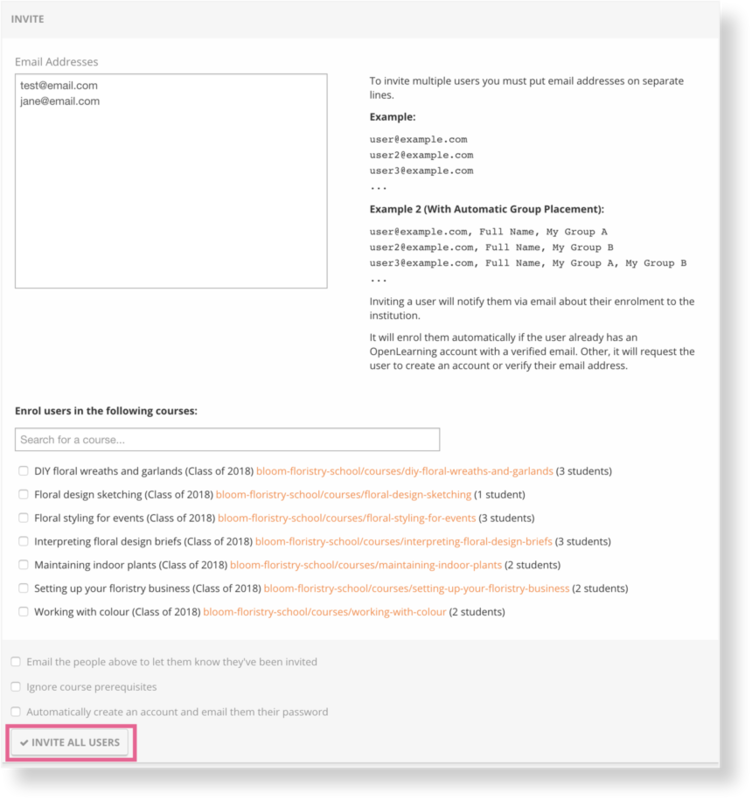 In a private portal, an institution admin must invite users to the portal via the Institution Settings, before they can access the portal and any courses within it. 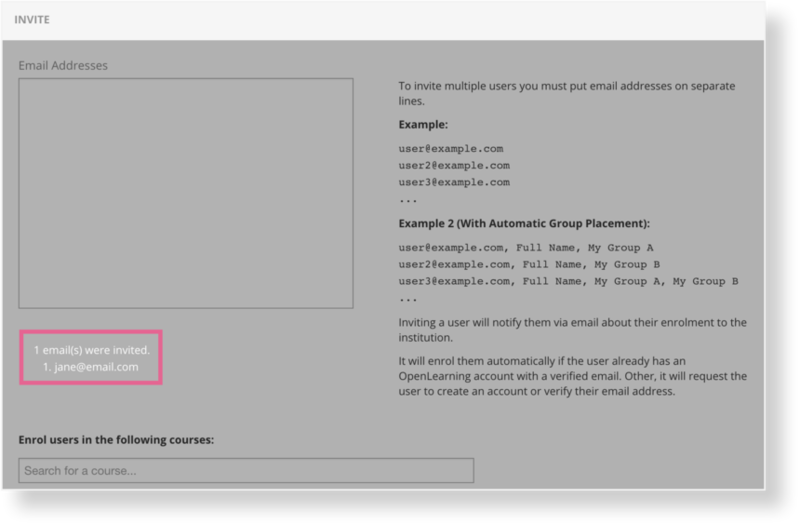 You can invite users individually via email or as a bulk invite (one email address per line) in People > Invite People. 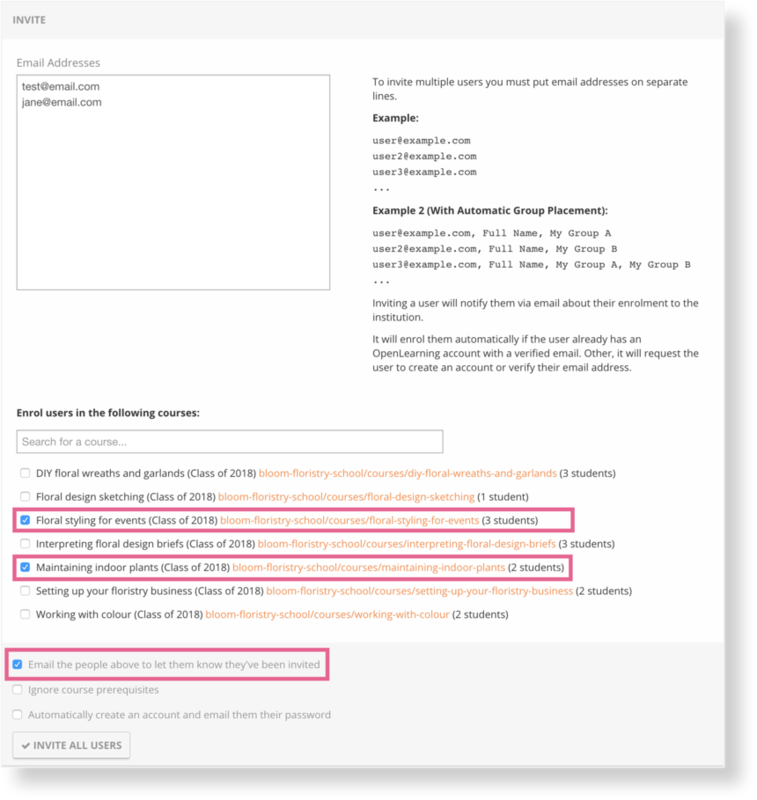 There are 4 main options to choose between when inviting students to your portal, summarised below. before choosing the relevant option/s, outlined in detail below. 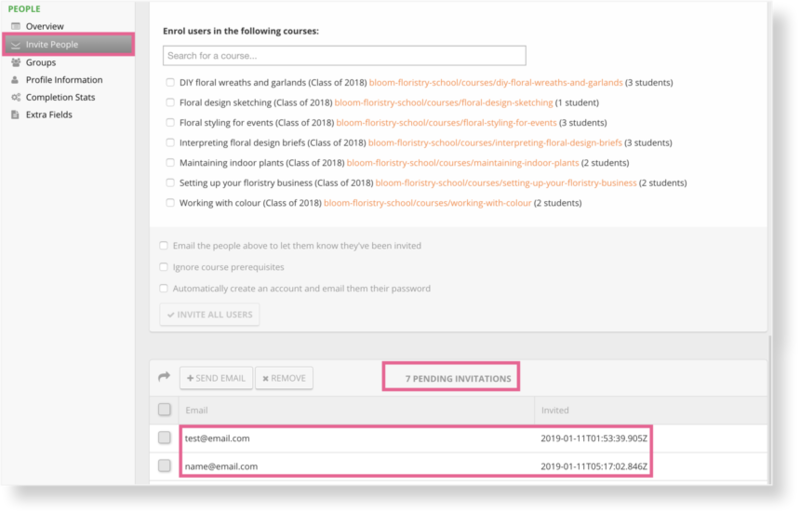 Students will receive the following emails, depending on whether they are a new or existing student. The Pending Invitations list at People > Invite People (and scroll down). 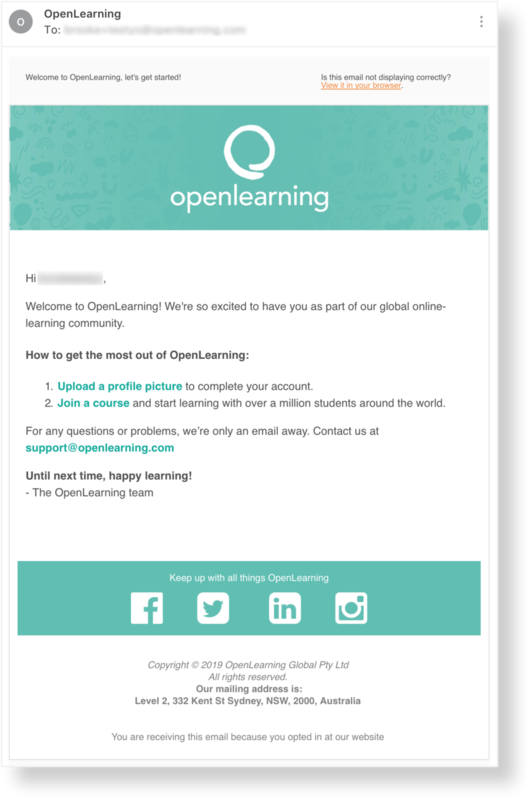 Once they create an OpenLearning account using the invited email address, they will move to the People > Overview list. You can invite students into the portal and invite/enrol them in courses without generating any emails. 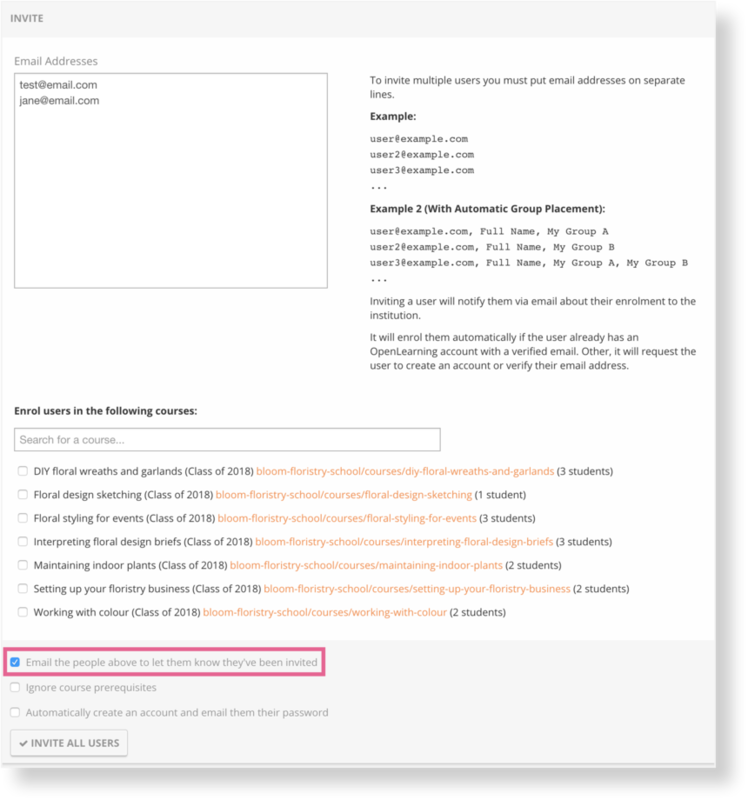 If you select this option, students will not know they have been invited or enrolled in the portal or courses at all. 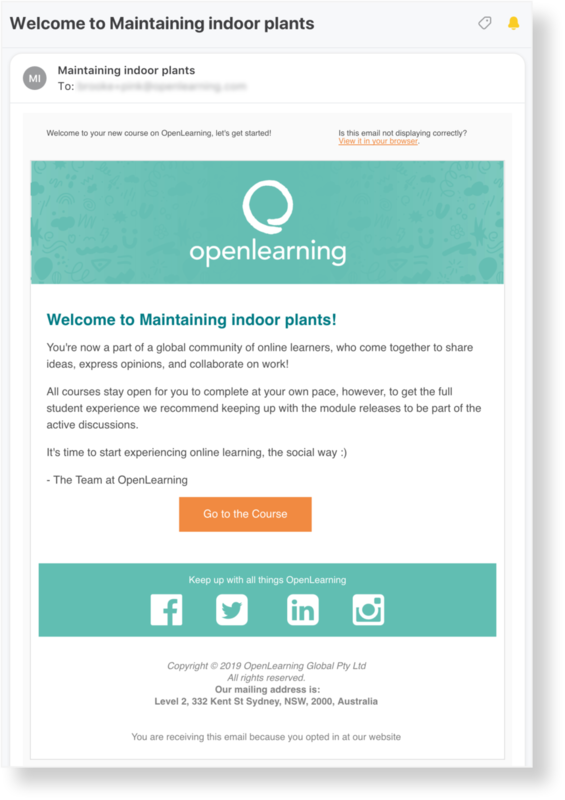 You would need to send your own independent email (outside of OpenLearning) to let them know they have been invited or enrolled. Students will not receive any emails. 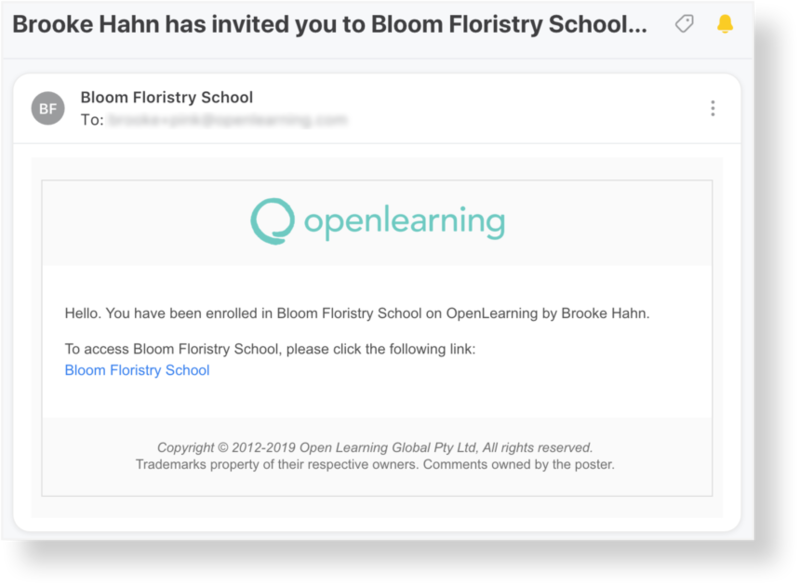 This option should only be used in cases where all students in the bulk invite batch do not have OpenLearning accounts. 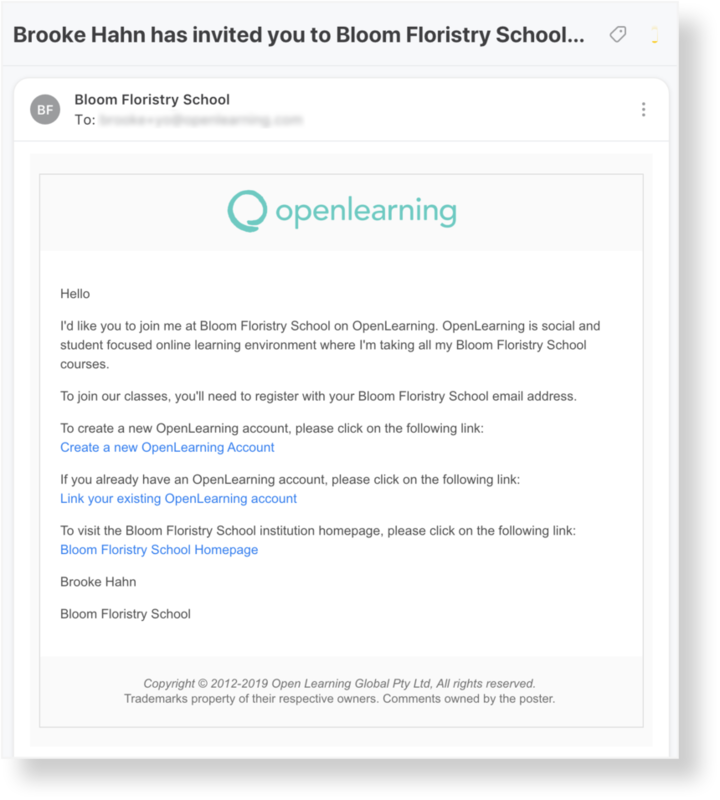 This option will automatically create OpenLearning accounts for these new users and will email them their login details. 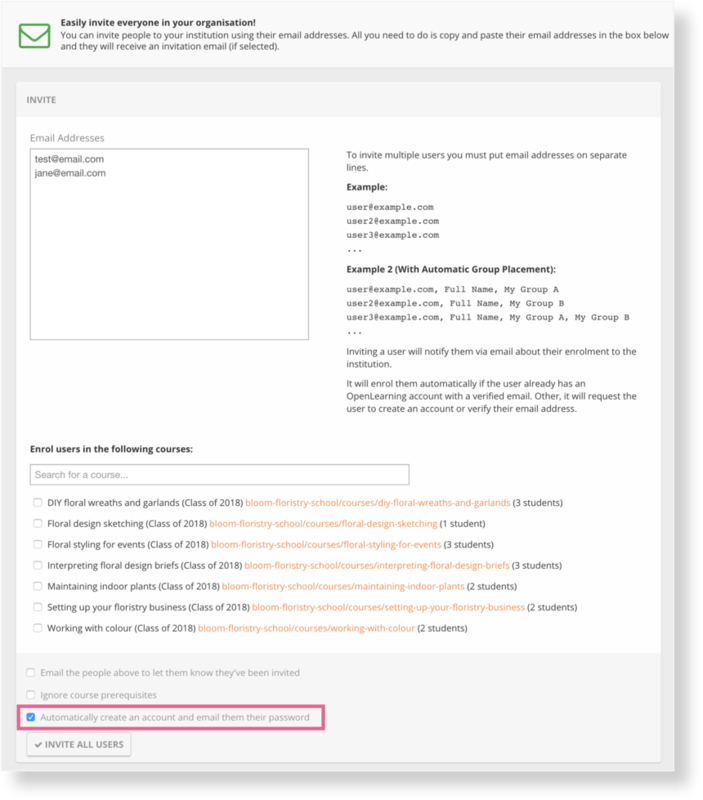 If you select this option, you SHOULD NOT tick Email the people above to let them know they've been invited - as this will send the "Welcome to the course" emails that may be confusing for new users at this stage. 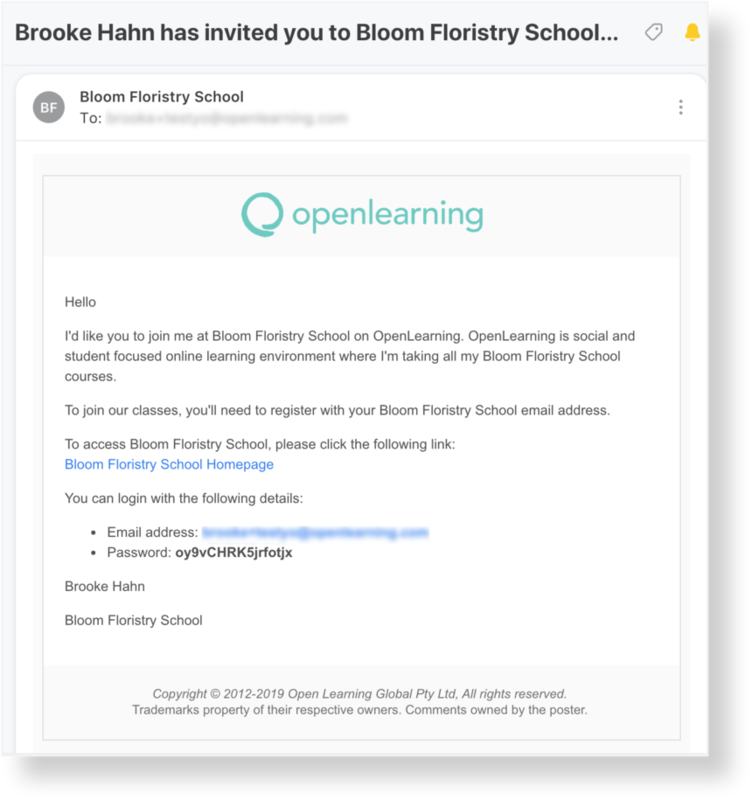 What if I want to enrol these new students into courses?